BOSTON, Mass. (WWLP) - Many of the guns seized in Massachusetts are registered in other states. According to the ATF, 178 guns from New Hampshire, 105 guns from Maine, 63 guns for Florida, and 57 guns from Georgia were confiscated in Massachusetts last year. The 22News I-Team discovered, some crime guns can't be traced back to their original owner, because they were purchased online in pieces, and assembled by an individual. They're called "ghost guns," and the pieces to make them can legally be purchased over the Internet in most states with an FID card. Ghost guns are made with an unfinished receiver, which is the pistol frame that houses internal components such as the hammer, and firing mechanism. Most of the time, they don’t have a serial number, but do require some modification. Under Massachusetts law, a receiver qualifies as a firearm, which means if you manufacture it, you're legally required to register it. Yet unregistered and unserialized ghost guns have been found on criminals in Massachusetts. According to the ATF, officers have confiscated 115 firearms in Massachusetts this year that either have no serial numbers, or obliterated serial numbers. State Representative Bud Williams told the I-Team, that number is a concern for lawmakers. “Who knows how many guns are out here that were bought online, assembled. Do know how many guns are out there? No, and it’s scary. Special Agent Leadingham also said there's a legitimate market across the country for ghost guns. He said most of the time, they're purchased by gun enthusiasts, not by criminals. "Criminals usually don't take the time to manufacture their own firearms." 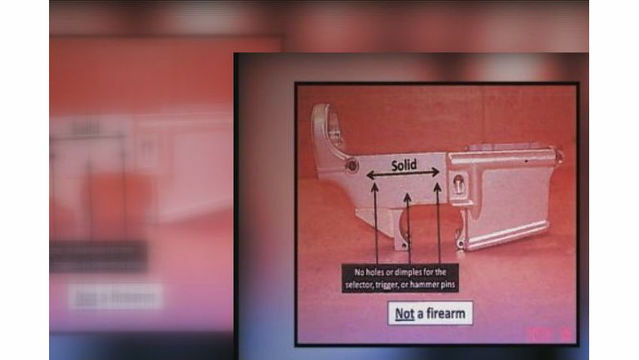 According to ATF, there is no way of knowing how many ghost guns are out there.